A library to convert a Gherkin file to PHPUnit Compatible and Dusk Compatible files. 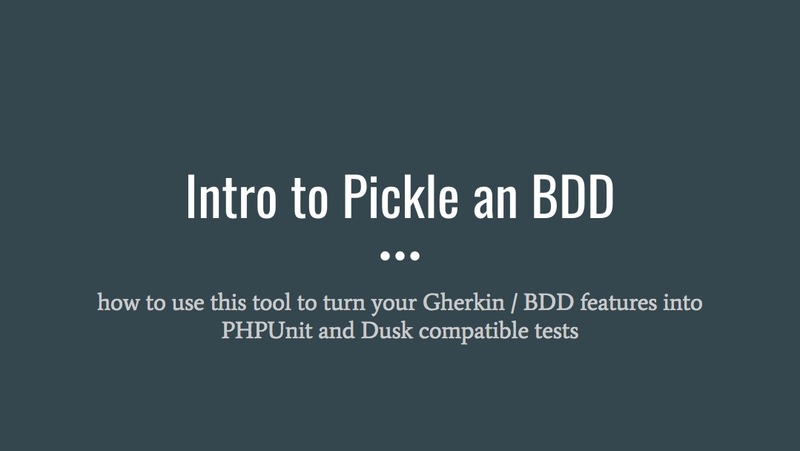 This will attempt to make an easy way to work with Dusk and PHPUnit from a Gherkin formatted file. If you are familiar with Behat then this workflow might be similar.